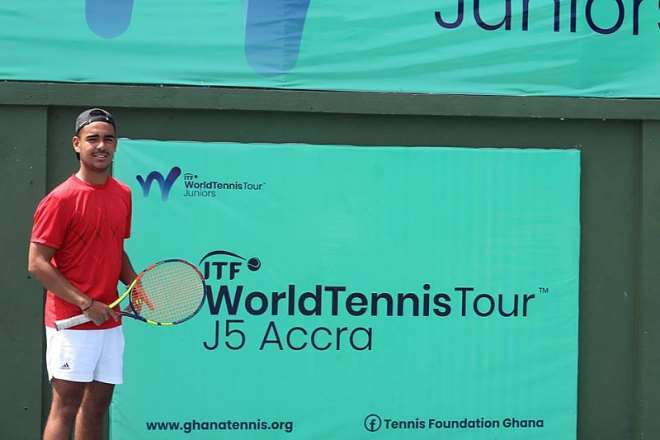 “Tennis Is big business, and we are taking Ghana Tennis to a higher level,” Dr. Daniel Mckorley has said at the finals of the ITF World Tennis Tour Juniors (J5) held at the Accra Sports Stadium on Saturday. 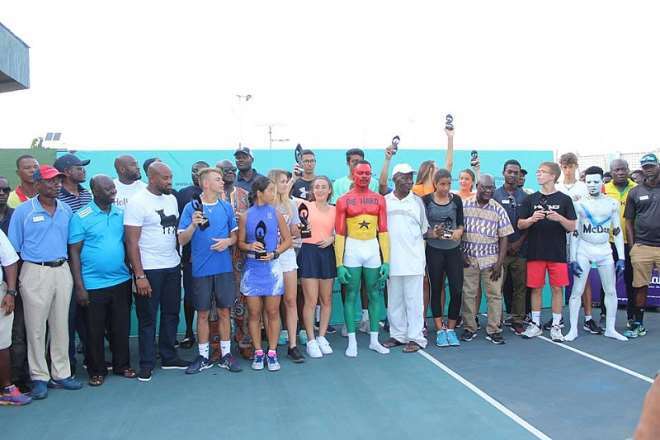 The sports philanthropist was very happy for the successful event but was sad that no Ghanaian made it to the final, and urged Ghanaian Tennis players to be serious and train hard to be among the best in the world as the prize money for competitions keep going high. 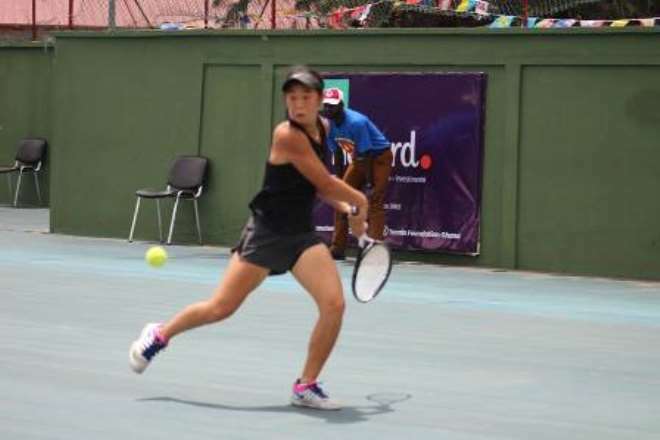 He thanked all the foreigners who competed and advised them to keep raising the game. Dr. Mckorley commended the coaches who have been grooming the players and urged them to work hard to get a Ghanaian star who can compete at a high level. 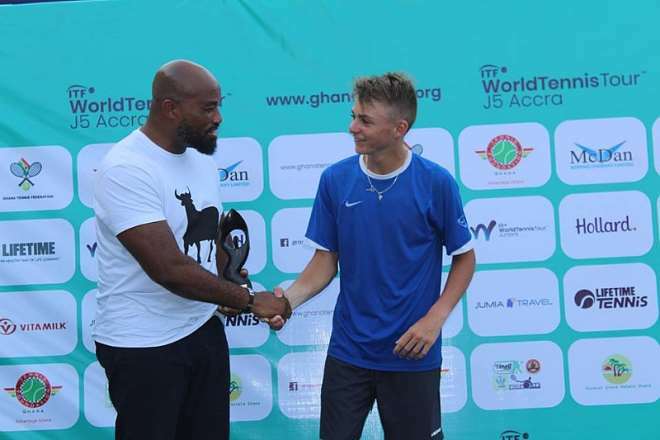 He was however happy with the Ghana cadets and juniors team who have conquered West and Central Africa, and ready to take on the whole of Africa and the world. He noted that the kids are the future and should be invested in to be serious to make the nation proud. Kobby Owusu of Hollard, one of the sponsors of the tournament commended the winners and all players. 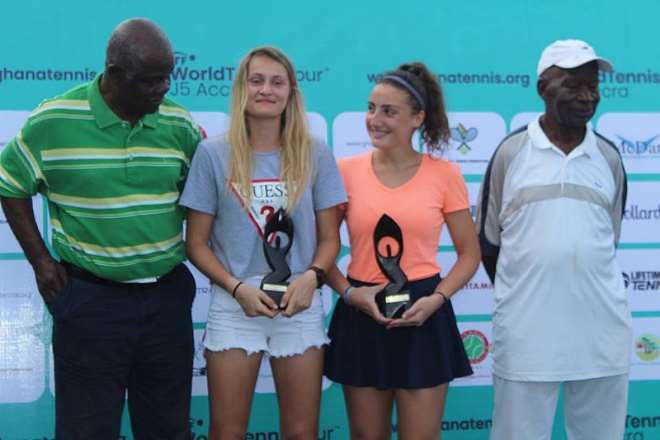 Eddie Annan, one-time Vice President of the Confederation of Africa Tennis and Former President of Ghana Tennis Association, congratulated all the participants and the winners. 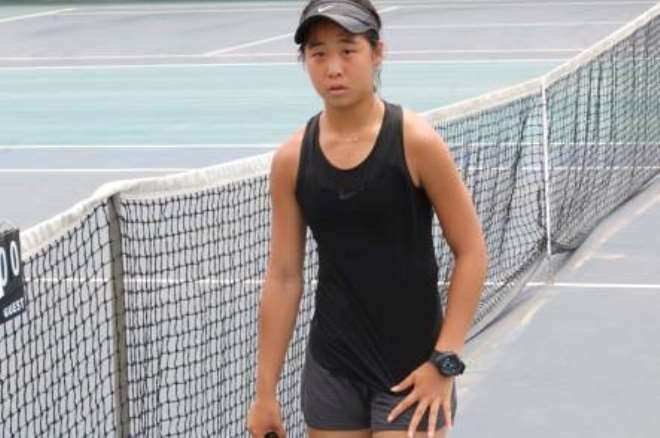 He urged them to be serious as Tennis can take them to many places. The Boys u18 final was won by Mathis Bondaz (FRA) who defeated Daniem Laporte (SEY) 6-3,6-4. 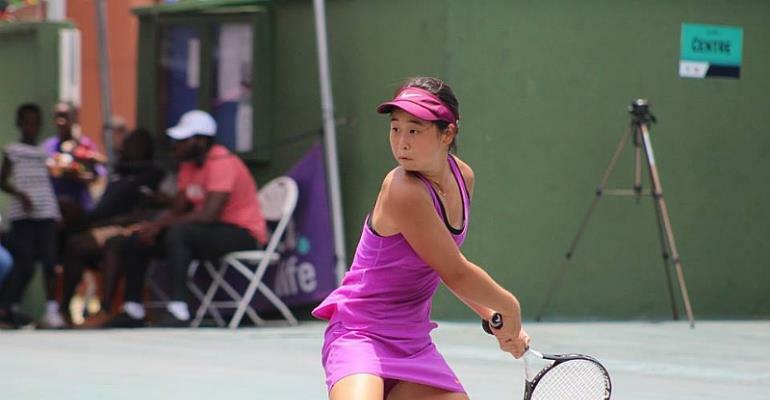 The Girls final was taken by Han Shi (CHN) who defeated Hagar Ramadan (EGY) 6-0,6-3. 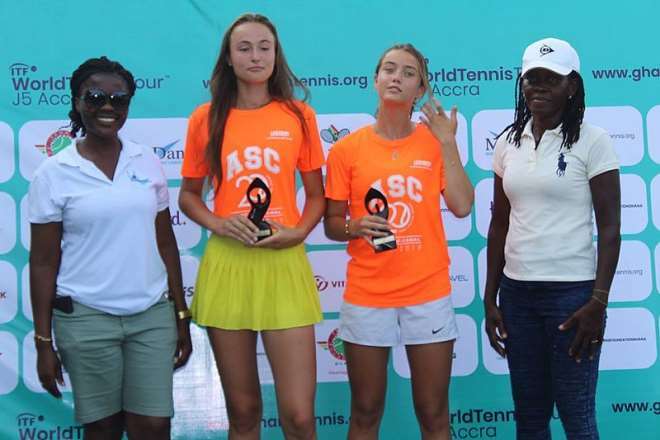 The Doubles final Girls went to Astride Cirotte (FRA)/ Martha Makantasi (GRE) who defeated Charlotte Mosbaek Ellegaard (DEN)/ Olga Mishenina (RUS) 6-2,6-2. Other winners were Boys Lumba Eshaan (IND)/Youssef Nabil (EGY) who defeated Politowicz Marcel (POL)/Boris Stastny (CZE) 6-4,7-5.